Some more of the inner workings markings. Everything looks as it should. Schweet! Yes, all matching numbers/WaA88 and no import/contract stamps or markings! Last edited by scottz63; 04-14-2019 at 10:11 PM. The decocker was broken. It has a small cross section where pin goes thru if I remember correctly. Wouldn’t hold the pin when dropping the hammer and it’s off and running. It was a spreewerke. It’s worth checking into. I will check it. Thank you. Got a holster with it as well. Not a WW2 holster, German though. West German military holster made in 1959. Pretty good shape. you get some pretty sweet scores Scott. are you going to shoot it or just wall hanger it? Thanks, once in awhile I do. Oh I'm going to shoot it for sure! Wouldn't have it any other way. 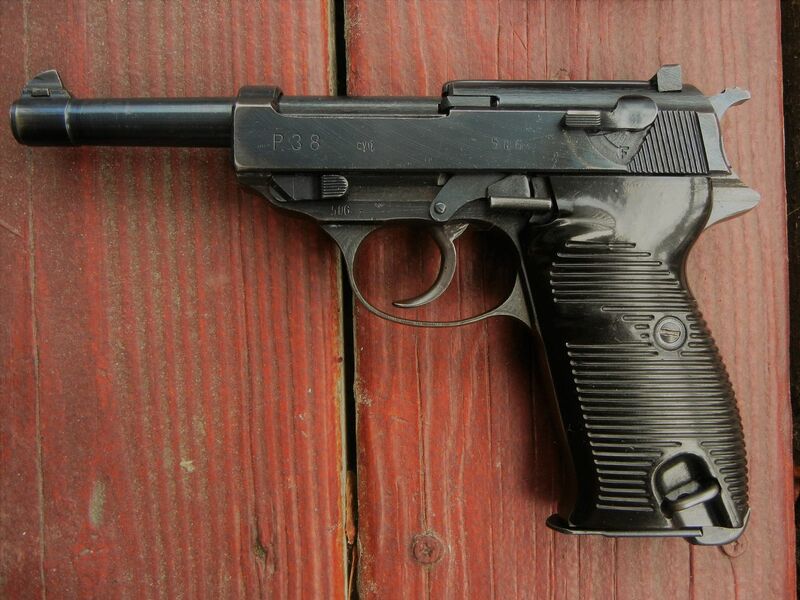 My late war (3-45) CYQ P38. That's a nice one too! Correct grips for a CYQ as well!